This German Bee Sting cake is our last We Knead to Bake baking project for this year. Looking forward to baking more delicious and challenging yeasted goodies next year too. Aparna's choice for this month is the Bienenstich Kuchen or what’s also known as the German Bee Sting Cake! Bienenstich is not really a bread but a traditional German sweet yeasted cake that has a baked on topping of crunchy almond toffee-like layer and filled with a vanilla pastry cream. Bienenstich is traditionally eaten as dessert but also served with tea or coffee. Bienenstich means “bee sting” in German and probably got its name from the honey flavored topping that is typical of this yeasted cake. There are however some interesting stories connected to it. One story is that the German baker who was creating this recipe came across a bee (possibly attracted by the honey) and was stung by it and decided to name the cake after the incident! Another story is that a group of German bakers stopped invaders from entering a neighboring village, sometime in the 15th century, by throwing beehives at them. In order to celebrate their victory, they created the original version of the Bienenstich. Click here for more detailed version of this recipe. I used small ramekins and baking cups for baking this cake instead of cake pan. Make the custard for the filling first. This can be made the previous day and refrigerated till required. Keep aside 1/4 cup of milk, and put the remaining milk and the sugar in pan. Over medium heat, bring this to a boil while stirring frequently to dissolve the sugar. In the meanwhile, dissolve the custard powder in the 1/4 cup of milk. Add this in a stream, to the boiling milk and keep whisking so that no lumps are formed. Keep whisking until the custard becomes very thick. Take the pan off the heat and let the custard cool to room temperature. Whisk it on and off so it stays smooth. If it does become lumpy after cooling, use a hand blender to make it smooth. Transfer to a bowl, cover and refrigerate. Once you are ready to fill the Bienenstich, whip 200ml of cream till soft peaks form. Then add the corn-starch and whip till it forms stiff peaks. Whisk the custard to make sure it is smooth. Gently fold the cream into the custard. If you feel it is too soft, refrigerate for a couple of hours and then use. To make the dough, heat the milk until it is quite hot but not boiling. Cut the butter into pieces and add to the milk, stirring it until the better melts completely. Let it cool a little. In the meanwhile, put the flour, sugar, salt and the yeast in the bowl of your processor. Run a couple of times to mix well and then add the egg (leave the egg out if you don’t use it). Run again till the egg has also mixed well. Now add the butter-milk mixture (it should be warm, not hot) and the then knead till it forms a smooth and soft (loose) brioche-like dough that’s just short of sticky. It should come away from the sides of the bowl and be easy to handle. Shape the dough into a ball and place it in a bowl. Cover loosely and let it rise for about 1 1/2 to 2 hours. This dough will rise quite well but not to double or as much as your regular bread dough. Deflate the dough, and shape again to a smooth ball. Place it in a 8” spring form cake tin lined with parchment. It is important to do this otherwise the topping will make the bread/ cake sticky and difficult to unmould. Flatten the dough a little, pressing down lightly so that the dough fits the cake tin. It doesn't matter if its not touching the sides like batter does. Let it rise for about 30 to 45 minutes. It will not rise very much and look a little puffy. Prepare the topping while the dough rises. Melt the butter, sugar, honey and vanilla in a small pan, over medium heat. Keep stirring frequently and it will start bubbling up. Let it cook for about 3 minutes or so until it turns to a light beige color. 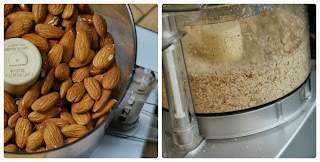 Add the sliced almonds, and stir well till the almonds are well coated. Take the pan off the heat and let it cool a bit. The mixture will become quite thick. Now get ready to bake the bread/ cake. Once the dough has risen, use a spoon take bits if the topping (it will be quite thick, like a sticky fudge) and distribute it uniformly over the surface. If there are small gaps they will get covered once the bread/ cake is baking. Bake at 180C (350F) for about 25 to 35 minutes until the top is golden brown and bubbling. A cake tester through the center should come out clean. Let the cake cool in the pan for about 15 minutes. Then gently loosen the sides with a spatula and unmould. Let it cool completely on a rack. When it has cooled completely, slice the cake into two equal layers carefully, using a very sharp knife. Spread the pastry cream on the lower layer and top with the upper layer and refrigerate till ready to serve. This recipe should serve 8 to 10. Preheat oven to 325 degree F. Line cookie sheets with parchment paper. In a large bowl, beat butter and sugar with electric mixer until light and fluffy. Add vanilla and mix well. Add flour and ground almonds. Mix with electric mixer on low speed until dough forms. Roll dough into 1 inch balls and place 1 inch apart on cookie sheets. Bake 20-25 minutes or until bottoms are golden brown. Remove to cooling rack. Cool for 5 minutes. Roll warm cookies in confectioners sugar. Cool completely before storing. For dry curries like eggplant (ennai kathirikai), spicy potato or any other vegetable stir fries. For instant arachivitta sambar or kootu. Grind this powder with some grated coconut and add it and the end. Dry roast all the ingredients on a low flame until light golden brown and aromatic. Let it cool completely. Grind into a coarse powder. Wash and dry the cranberries. Discard soft, discolored or shriveled cranberries. Wash the meyer lemon and pat dry. Cut into half and remove seeds. Then cut into 8 pieces or smaller. Heat sesame oil in a large sauce pan. Add the mustard seeds and let it splutter. Add curry leaves and chopped ginger. Fry for a minute. Add the cut lemon pieces, turmeric powder and 1 tsp of salt. Cook for 10 minutes until lemon becomes soft. Now add the cranberries, red chili powder and salt. Mix well. Cook on low flame until the cranberries are soft and mushy. Keep stirring occasionally. Once cooked, oil will start to float on top and sides. At this stage switch off the flame. Add 1 tsp roasted fenugreek powder and mix well. Let it cool completely. Store in a clean, dry glass jar. Refrigerate and use a dry spoon when serving. This is Aparna's We Knead to Bake challenge for the month of November. Recipe copied from Aparna's blog My Diverse Kitchen. Here is a youtube video on how to bake Kanelbullar / kanel Snegle. Kanel Snegle (Cinnamon Snails) or Kanelbullar (Cinnamon Buns) which is the Swedish version of the popular American Cinnamon Rolls. The Swedish version are probably the original version and not sticky like their American counterparts and are also less sweet. These rolls are delightfully aromatic, soft and moist, and perfect with a cup of tea/ coffee whether for breakfast or in the evening. The Swedish Kanel Snegle/ Kanelbullar is less about sugar and more about the spices in it – cardamom in the dough and cinnamon inside the Snails/ Buns. Whether you call them Snails (coiled shape)or Buns (twisted and rolled up) depends on how you shape them. Scandinavian celebratory breads tend to be all about spices and warmth so you will find a lot of their breads scented with cardamom. Cinnamon, cloves, aniseed, etc. These Cinnamon Snails/ Buns are found all over Europe with slight variations in recipe and the shapes as Franzbrotchen, Korvapuusti, Skillingsbollen, etc. Kanel Snegle/ Kanelbullar are traditionally made on the 4th of October every year in Sweden to celebrate “the Day of the Cinnamon Bun” but can be found in bakeries all through the year. There are different ways of shaping this confectionery and I have detailed two types here – the typical “snail” shape which much like that of the regular Cinnamon Roll, and the “twist”. You are free to explore different shapes and try them out if you’re feeling adventurous. Let them cool on wire racks. You can serve them warm or at room temperature. You can freeze these Kanel Snegle for whenever you feel like having one. This recipe makes about 20 Kanel Snegle/ Kanelbullar. Heat oil in a skillet and splutter mustard seeds. Add channa and urad dals. Fry until golden brown. Add the cut onions, green chillies, ginger and curry leaves. Saute until translucent, but still crunchy to the bite. Add 1 cup of water. turmeric powder and salt. Bring it to a boil. Mash the boiled potatoes with hand and add it to the boiling water. Mix thoroughly. Let it cook until the masala thickens. Masala should be slightly loose but at the same time thick in consistency. Add water accordingly. Serve with poori or doasi. Nel in tamil, is unhusked rice paddy. Nel pori is puffed rice paddy. Spread the pori in a large plate or bowl. Remove all the husks. If pori is soft, spread them in a tray and toast in a oven on a very low temperature setting. Roast the thinly sliced coconut in 1/2 tsp ghee until golden brown. Heat the jaggery in 1/4 cup of water until completely dissolved. Strain to remove any impurities. Add ginger powder, cardamom powder and coconut. Boil the strained jaggery syrup until it reaches a soft ball consistency. To check the consistency, place some syrup in a bowl of water. If you can make a ball out of it, then it is ready. Pour the jaggery syrup all over the pori. Using a wooden spoon, mix well to coat. Apply little ghee to your palm and shape into tight balls. This is Aparna's We Knead to bake challenge for the month of October. After two unsuccessful attempts of baking this bread, I guess the third time was a charmer. 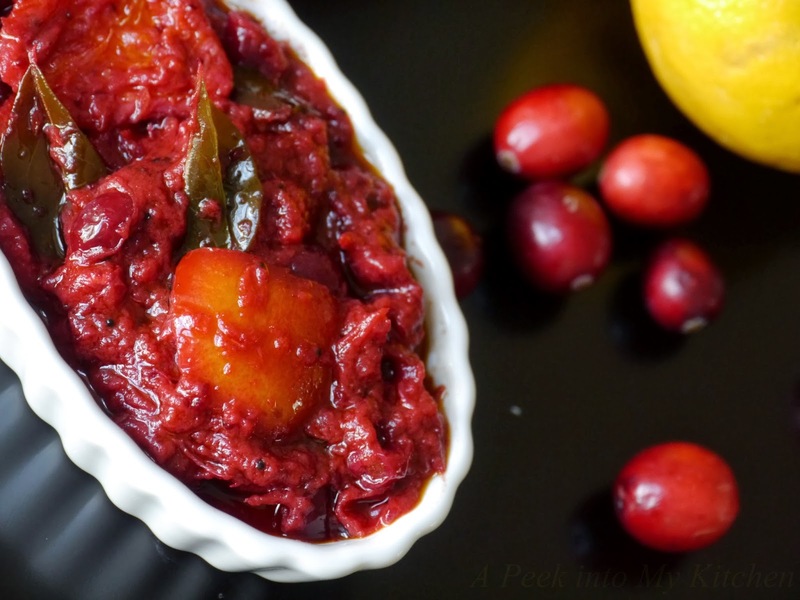 Please refer to Aparna's blog for more detailed recipe. Peter Reinhart’s recipe uses a soaking procedure and the Biga/ sponge and that is the secret to the softness and texture of this bread. Other than that, it is important to knead the dough well to develop whatever little gluten there is in the whole wheat flour. Also be careful while shaping the dough into a loaf and make sure that you do not tear the risen dough as this will tear the gluten “cloak” that would have developed. First make the Soaker. Mix all of the Soaker ingredients together in a bowl until all of the flour is hydrated. I found that I needed more than the original 3/4 cup of water suggested and used a little over 1 cup but this can change from flour to flour. So I would suggest using 3/4 cup water and then adding a little at a time, until you have the desired consistency. Your Soaker should be somewhat like reasonably firm bread dough in consistency. Cover the bowl loosely with plastic wrap and leave at room temperature for 12-24 hours. Now make the Biga/ Sponge. Mix all of the Biga/ Sponge in a bowl and knead together well till a soft ball forms. Again you might need more than the originally suggested 3/4 cup of liquid; I needed a little more. Cover and refrigerate for at least 8 hours or overnight. This will keep for up to 3 days. Place your loaf in a greased and floured loaf tin (I used a 9” by 4” loaf tin) and let it rise until it is just higher than your loaf tin. Bake the loaf at 180C (350F) for about 40 to 45 minutes until the top is a nice deep brown colour and the loaf sounds hollow when tapped. Here is a video on how to make jangiri. Soak urad dal and rice for 1 hour. Drain the water and grind with very little water until soft and fluffy. Add little crushed saffron while grinding the dal. Place sugar in a pan and add 1 cup of water. Bring it to a boil. Just before it reaches to one string consistency, switch off the flame. Add rose essence and saffron. Prepare the zip lock bag by piercing a hole in the middle of the bottom. Use a thin hot nail or rod. You can also use a piping bag with a round nozzle. Heat oil (fill about 1 inch deep) in a broad skillet on a low flame. Half fill the zip lock bag or piping bag with the batter. Press the batter over oil to make a circle and continue pressing along the sides like a coil. Make like 3 to 4 jangiris at a time. Fry until golden brown. Remove from the oil and drop them in to the sugar syrup. Press the jangiris down to soak. Leave them in the syrup until the next batch is fried. If the syrup becomes thick, stop the frying and add little hot water to the syrup, bring it to boil. Boil 1/2 cup water with salt and turmeric powder. Let it cool. Dry roast the rice flour until hot and slightly brown. Sprinkle the turmeric water little by little to the rice flour and mix. The right consistency is, you should be able to form balls with the flour and break to powder again. Tie the flour mixture in a clean white cloth / towel and stem cook for 15 - 20 minutes. Transfer the steamed flour mixture into a large plate and crumble the big pieces. You can sift the mixture, if it has lumps. 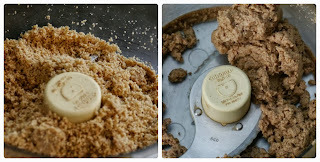 Place jaggery in a pan with little water and melt. Strain to remove impurities. Boil the jaggery water and make syrup. Test the syrup for right consistency. That is when you drop some jaggery syrup in cold water, you should be able to form a ball. Add the jaggery syrup little by little to the steamed flour with one hand and mix the flour with another hand using a spoon or spatula. The syrup will be very hot, so be careful while mixing. The puttu should be grainy and not like halwa. Heat ghee in a small skillet and roast the cashew pieces and grated coconut until brown. Add it to the puttu and mix well. Soak the peanuts in enough water for 2 hours. Drain and pressure cook with 1 cup of water and salt for 3 to 4 whistles. Drain and keep it aside. Heat oil in a skillet and add the mustard seeds. Let it splutter. Add urad dal, red chillies, asafoetida and curry leaves. Fry till golden brown. Add the drained peanuts and mix well. Add the ground spice powder and mix thoroughly. Cook for a minute. Adjust salt. Mix in the lemon juice and serve. Take the roasted gram, and dry roast in a skillet on low-med heat. For about 2 minutes. Let it cool. 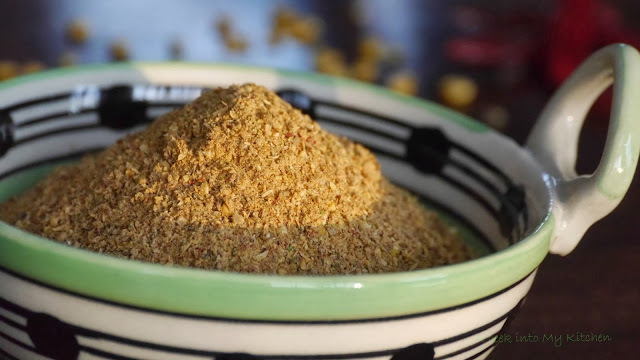 In a blender, grind the roasted gram / Pottukadalai / dalia to a fine powder. Keep it aside. In the same blender, place the sugar and make a fine powder. In a skillet, on a low heat, roast moong dal flour until it gives a nice aroma. Let it cool completely. Sift both flours in a bowl. Add the powdered sugar and mix well. Add 1 cup sugar first and if you think you need more sugar add the rest. Mix in the cardamom powder. Slowly add the hot melted ghee to the flour mixture. Mix well. Once you are able to form a ball, stop pouring the ghee. Mix thoroughly and start making round balls. If you find hard to form balls, sprinkle little bit milk (about 1 tsp) to the mixture. This month we’re baking bread that can be made sweet or savory. It is easy enough to make and what is unusual is that it is filled and then covered with a sugar syrup/ glaze which is typical of Middle Eastern confectionery. Khaliat al Nahal (also known as Khaliat Nahal) translates as Bee’s Hive in Arabic. This is because the buns are baked close to each other in a round pan where they form a honeycomb like pattern. They’re traditionally made sweet and glazed with honey flavored syrup, though savory versions are also made. This recipe makes 18 small buns, and if you want fewer you can halve the recipe to make about 9 or 10 buns. For half the recipe, use a 6” or 7” round cake tin to bake the Honeycomb Bread. You can also bake them individually in muffin tins if you prefer, except they would not have their characteristic “honeycomb” pattern. Traditionally, the filling used in this bread is a small piece of plain cream cheese but here choice of filling is entirely up to you. You can make it sweet or savory. Savory - cream cheese OR crumbled feta cheese OR crumbled paneer/ cottage cheese, flavoured according to your choice. You can also use any other savory filling that you want. Sweet - cream cheese (traditional filling), or any other filing of your choice like chocolate, dried fruit like dates, raisins, chopped nuts, chopped fruit , sweetened coconut filling, etc. I used Philadelphia milk chocolate cream cheese. Take each piece and flatten it out a little and place half a teaspoon of filling in the centre. Pull up the sides and wrap the dough around the filling, pinching it closed at the top. Smoothen it into a round ball. Place this in a well-greased round 9” cake tin. Repeat with the remaining 17 pieces and the filling. Arrange the filled balls of dough in concentric circles, filling the base of the cake tin. Cover with a kitchen towel and let it rise for about 30 to 40 minutes. Brush the tops with milk and sprinkle the sesame seeds over this. Don’t use the sesame seeds for sweet bread, only for the savoury one. Bake the buns at 180C (350F) for about 25 minutes, until they’re done and a nice golden brown on top. Let them cool in the tin for about 5 minutes and then on a wire rack. 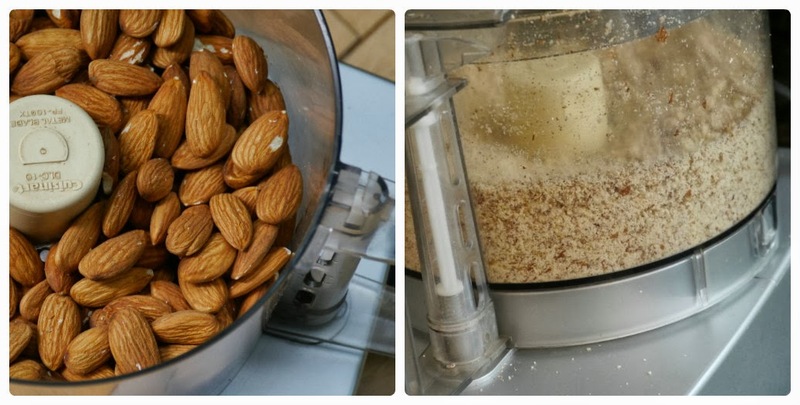 Place almonds in the food processor with the "S" blade. Turn the food processor on and let it run for a minute until it forms fine crumbs. Add the cinnamon powder and salt. Continue processing. After 3-4 minutes of processing they turn clumpy and forms a ball. 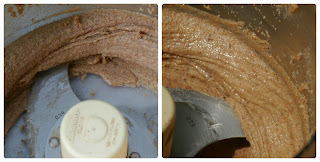 Process until they release oil and turn into thick paste. 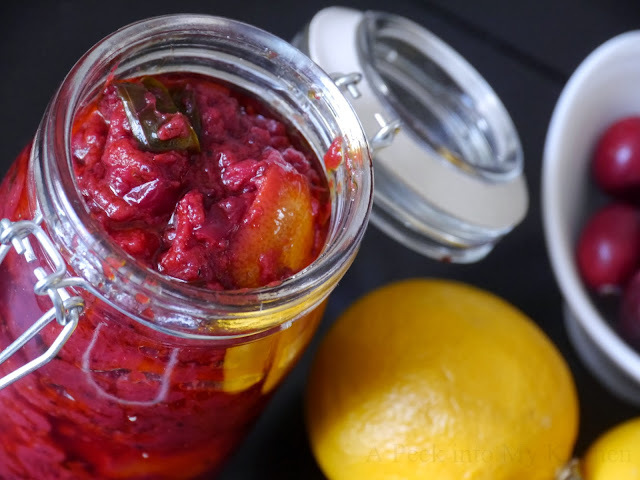 Continue processing until you get a creamy and spreadable consistency. It takes about 15 - 20 minutes to get to the creamy stage. If you are using roasted almonds, the butter will be dark brown in color. Store it in a airtight glass container and refrigerate. To make soft or hard pretzels was the challenge for last month's We Knead to Bake group. I choose to make soft pretzels with jalapenos. In a large bowl, dissolve the yeast and sugar in warm milk and allow that to stand for about 5 minute. Add the 3 cups flour, chopped jalapeno and salt to the proofed yeast and stir until a soft dough forms. Turn dough out onto a lightly floured surface and knead until smooth and elastic. The dough will feel slightly sticky, so add a bit of flour as and when necessary while kneading. This should take about 8 minutes. Deflate the dough, cover and let it rest 5 minutes. Divide dough into 12 equal portions. Work with one portion at a time and cover remaining dough to prevent it drying. Roll each portion into an 18-inch-long rope with tapered ends. Cross one end of rope over the other to form a circle, leaving about 4 inches at end of each rope. Twist the rope at the base of the circle. Fold the ends over the circle and into a traditional pretzel shape, pinching gently to seal. Place pretzels on a lightly greased baking sheet. Cover and let rise 10 minutes (pretzels will rise only slightly). Put the 6 cups of water and baking soda in a non-aluminum pan and bring to a boil. Turn down the heat and simmer. Gently lower a pretzel into the simmering water. Cook on each side for about 15 seconds. The pretzel will swell/ puff up a bit. Remove from the water with a slotted spoon and place on a greased wire rack. This will prevent the pretzel from sticking to the rack. Repeat with the remaining pretzels. Sprinkle coarse salt over the pretzels. Place the pretzels on a baking sheet sprinkled with cornmeal or semolina. Bake at 425 degree F (220C) for 12 minutes or until pretzels are deep golden brown. Transfer to a wire rack to cool. Serve warm with a dip of your choice or just plain. They’re best eaten fresh, and on the same day. This recipe makes 12 Pretzels. Savorury Kugelhop, is this months challenge for We Knead to Bake group, started by Aparna of My Diverse Kitchen. I made some changes to the filling from Aparna's version. I made it with some indian spices sans the cheese. A Kugelhopf (also spelt as Kugelhupf, Gugelhupf or Kugelhoph) is a yeasted sweet cake well known in the Alsace region of France, as well as in Germany, Switzerland, and Austria, and variations of this are also found in some countries of Eastern Europe. The most common story about the Kugelhopf is that Marie Antoinette (the same lady of the “let them eat cake” fame!) brought it from her home country Austria, to France upon her marriage to King Louis XVI. The Kugelhopf is typically baked in a special pan that is round with a hole in the centre, somewhat like a bundt pan but heavier. Since it is a yeasted cake, the Kugelhopf has a dense bread-like texture and is made from a somewhat enriched dough like brioche but is not as rich. It is considered similar to a coffee cake that might be eaten for or with breakfast, or could be part of an afternoon snack with coffee. This savoury version is also good for breakfast, as a snack or with a simple soup. A lesser known version of the Kugelhopf is its savoury Alsatian version called the Kugelhopf aux Lardons. “Lardons” is the French word for bacon, and this version is typically made with onions, ham/ bacon, walnuts and herbs. This bread/ cake contains eggs because they are a characteristic part of this bake, but feel free to substitute powdered flax seed for the eggs if you don’t eat them. You may also use sun-dried tomatoes and toasted pine nuts instead of the tomatoes/ bell pepper and walnuts. I used Cheddar because that’s what I had, but use a cheese of your choice if you prefer. A sharper cheese will taste better. Recipe copied and modified from Aparna. 2 eggs, beaten lightly or mix 2 TBSP ground flax seed powder in 6 TBSP of cold water and set it aside for 10 minutes. Once again I used the processor. This can be done by hand but it will be a bit sticky to handle. Put 3 cups of flour, yeast, and salt in the bowl of the processor. Pulse a couple of times to mix. The add the butter, a little at a time, and process till incorporated. Add the warm milk and process till mixed. Now add the eggs or flax mixture and process till mixed. You will now have a soft and sticky dough. Knead some more, adding more flour, a little at a time and just enough till the dough pulls away from the sides of the bowl. Do not be tempted to add more flour than absolutely necessary. Your dough will be very soft, elastic and just short of sticky. Transfer the dough to an oiled bowl, cover and let it rise until double in volume. This can take from 1 1/2 hours to 2 1/2 hours! In the meanwhile, heat 1/2 tsp oil in a pan. Add the chopped green bell pepper, the tomato and a pinch of salt, kasoori methi, chili powder and garam masala powder. Stir-fry till the raw smell disappears but the vegetables are still crisp/ crunchy. Add the currants. Remove and keep aside. To the same pan, add the remaining 1/2 tsp oil and sauté the onions with a pinch of salt till they turn golden brown. Remove and add to the bell peppers and keep aside. Grease an 8” kugelhopf mould or bundt pan well especially around the centre (or whatever pan/ tin you plan to use). Place some pumpkin seeds in the bottom of the mould. If you’re using a loaf tin or brioche moulds, then don’t do this. Instead press in the pumpkin seeds on top of the dough after the second rise, just before baking. Once the dough has risen, deflate it. Then work the stir-fried onions, bell pepper and tomato mixture into the dough. The best way to do this is to flatten the dough out and spread all this over the surface, fold the dough over and then knead it. This will ensure a more uniform incorporation of the “filling”. The dough will be a bit sticky, so use a scraper to help you with the kneading. Do not add more flour! Roll the dough into a longish log, long enough to fit into the mould comfortably. Lift the “log” of dough and place it in the mould in a circular fashion and pinch the two ends together to close the “circle” of dough. Cover and let the dough rise for about an hour or so, until it reaches the edge/ rim of the mould. Bake the Kugelhopf at 200C (400F) Pre-heat oven to 400 degrees for about 35 to 40 minutes until the top is golden brown and sounds hollow when it is tapped. Unmould the Kugelhopf and let it cool on a rack. Slice and serve. This Kugelhopf should serve about 10.